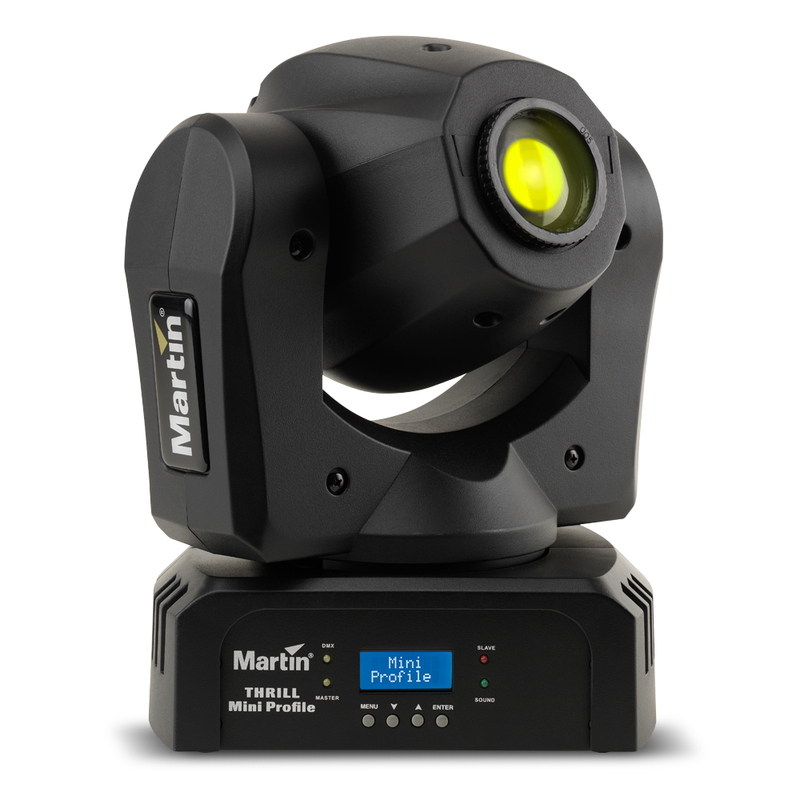 Imagine having the ability to integrate the moving beams of light, shine spotlights when and where you need them, or add the dramatic effect of colors and “gobos” flying around the audience during your live shows. 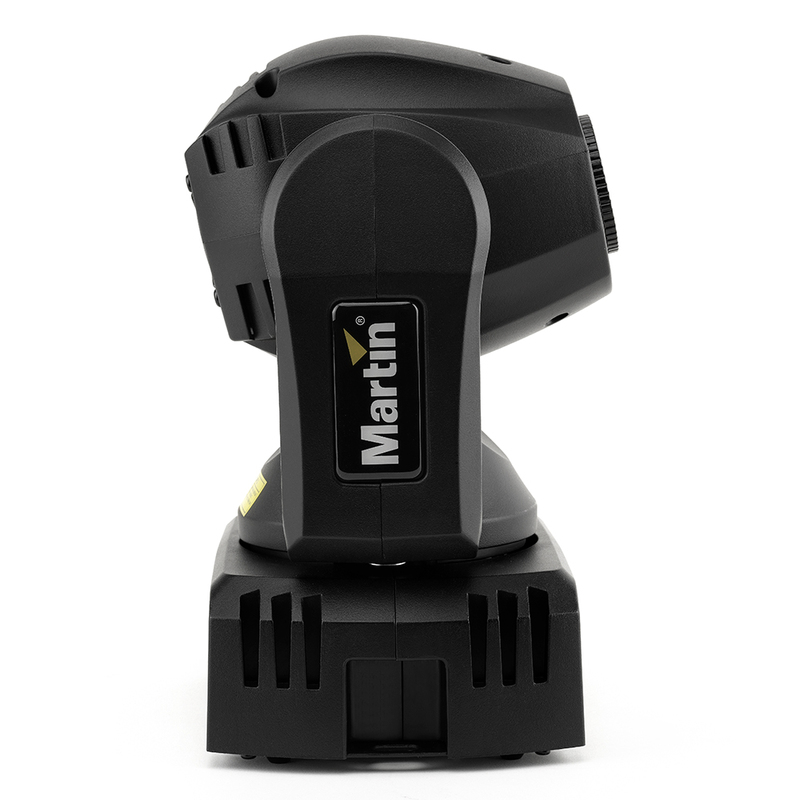 Now you can with the THRILL Mini Profile, Martin professional’s smallest and most affordable moving head to date. 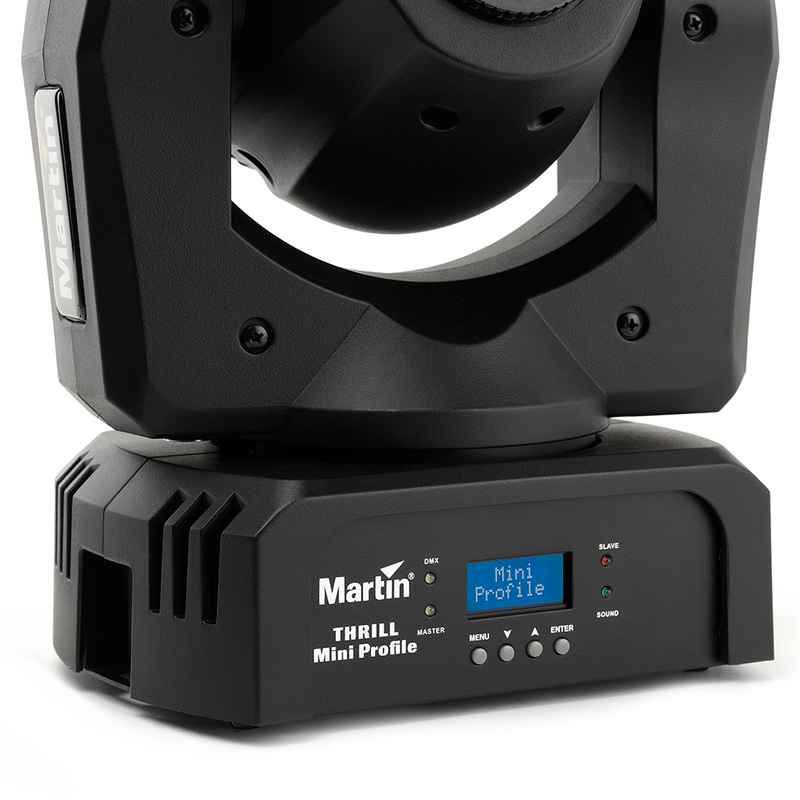 THRILL Mini Profile has been designed to help DJs, musicians and entertainers take their performances to the next level–whether they’re in lounge bar or pub, to a wedding or high-energy dance floor. 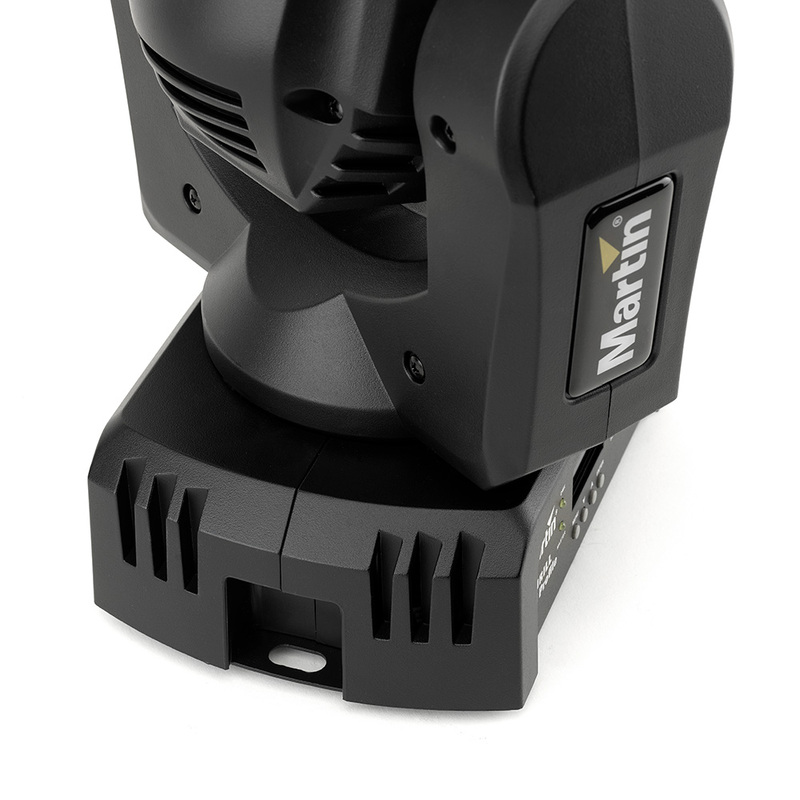 Despite performing above its class, this ultra-compact fixture weighs only 4.3 kg (9.5 lb. 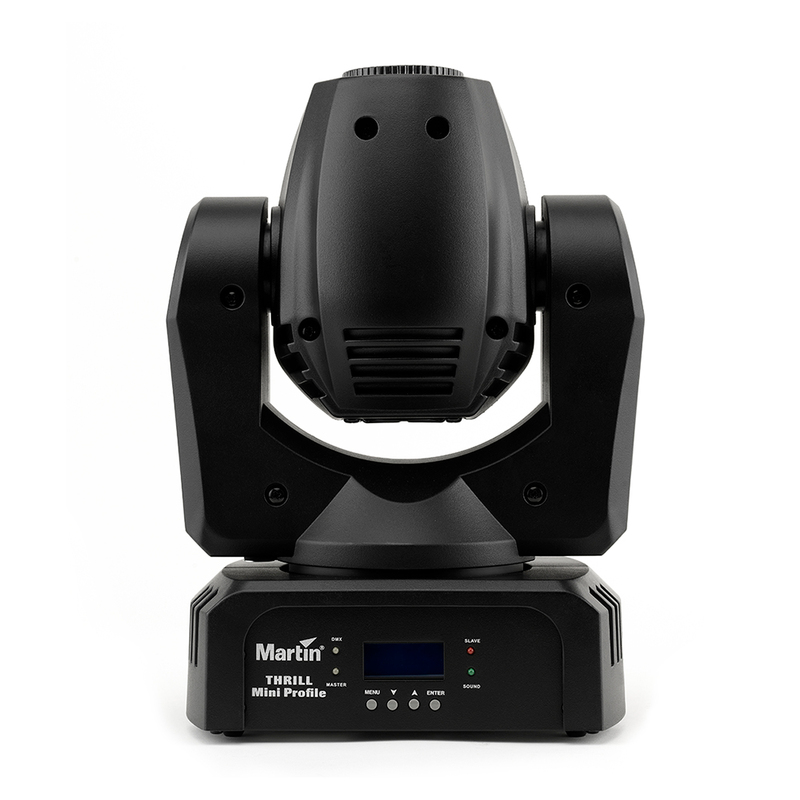 ), so it’s easy to transport and set up. 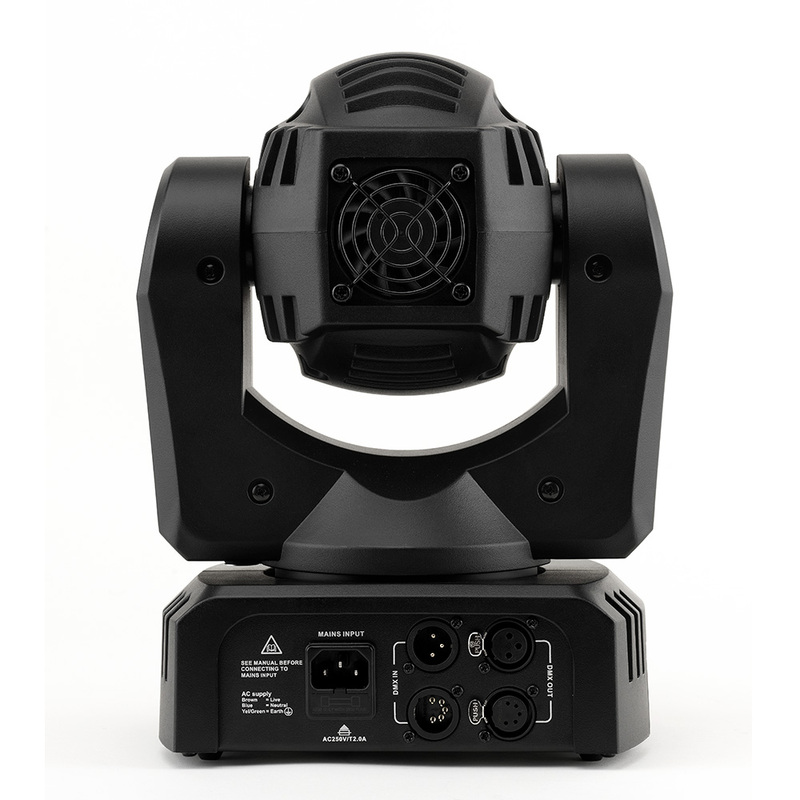 Its lightweight design, rugged exterior, and compact form factor make THRILL Mini Profile the perfect fit for on-the-go entertainers, DJs, venues and home enthusiasts that require professional, lighting within their reach.